The steam boilers used in power plants can weigh several hundred tonnes. 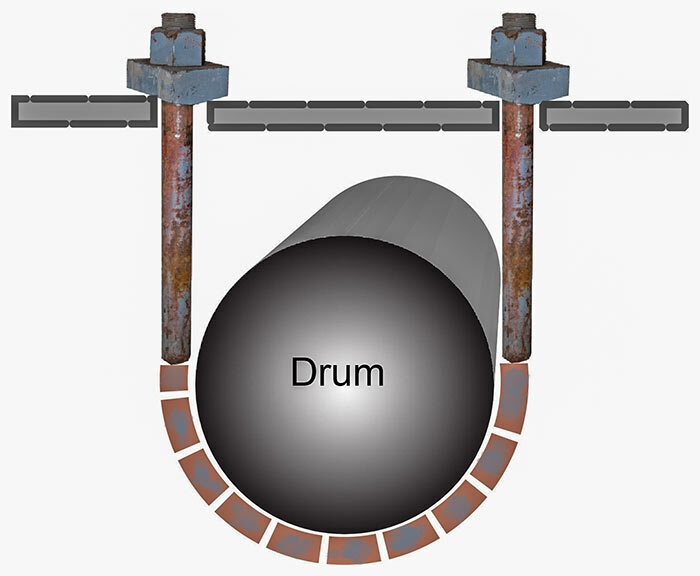 When a flame is inserted into the boiler furnace, the temperature of the boiler increases by several hundred degrees, thereby increasing the size of the boiler by as much as 3 inches (75 mm). To allow for this expansion, most modern utility boilers are suspended from the top so they can expand downward. Pictured here is a section of U-bolt. Four U-bolts are used to suspend the steam drum at the Clover Bar Power Plant.